Usually served with sour cream, or as a desert with apple sauce. This is a unique dish, suitable as for the breakfast and also make the best appetisers to accompany any fish or meat dish. The true authentic way is to dip these into sour cream. 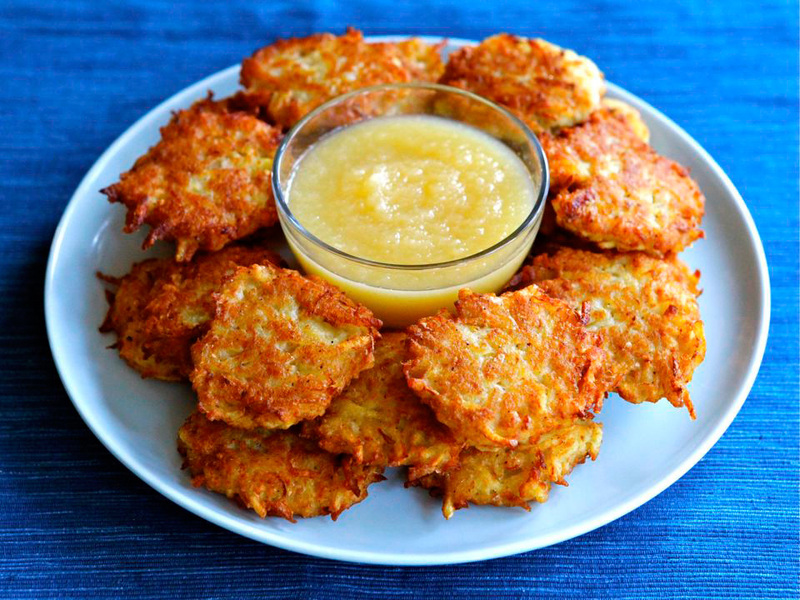 These pankcakes are a delicious meal for any occasion. Enjoy meat & cheese pancakes for the breakfast, lunch, brunch or dinner! P.S. Once you cook it for your male special someone, be ready to be asked to prepare them regularly. These kind of pancakes seem to be a real drug for men. Traditional Siberian dish, usually served either with the vinegar or sour cream. 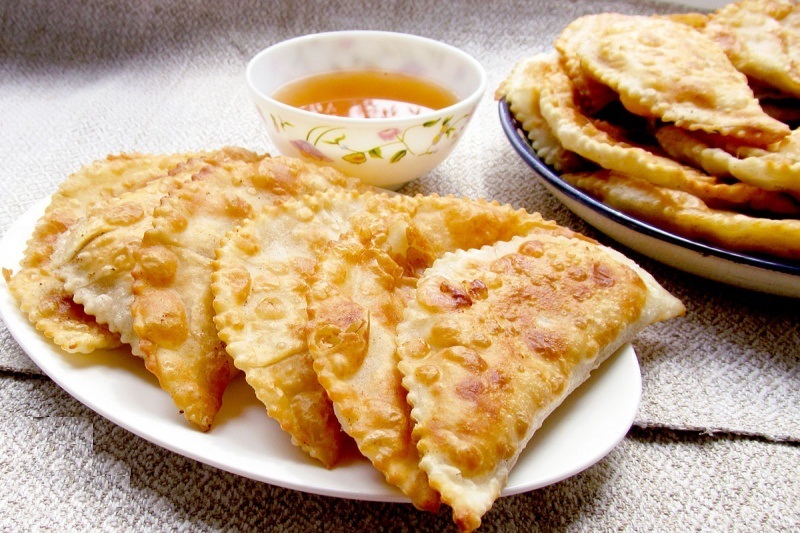 Russians always include a piece of rye bread when eating dumplings. 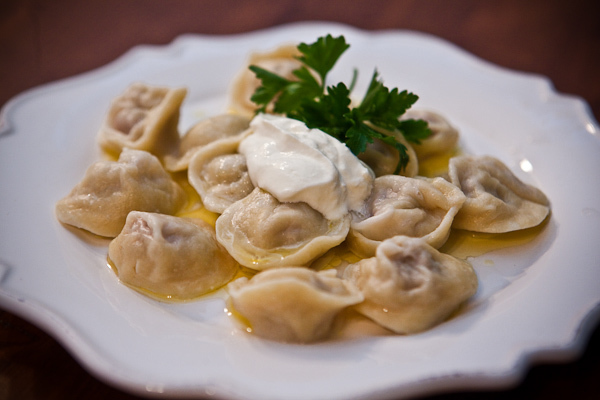 ‘Pelmeni” are known for being a perfect snack to consume with a shot of vodka. In Russia, it’s a shame not to get a little bit of vodka when eating traditional dumplings. 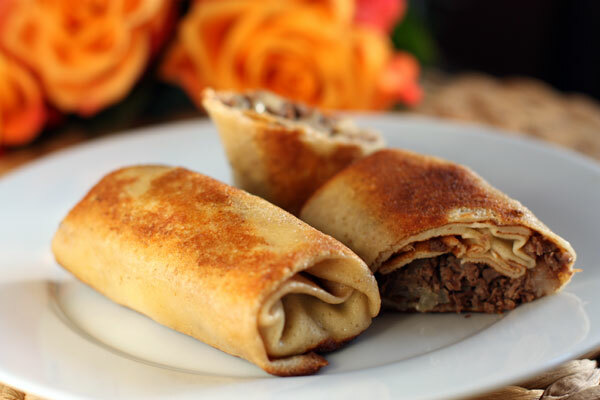 In the Motherland, “chebureks” are famous for being sold on the beach or in the local street kiosks. They belong to a so-called “Russian street food”, that are going to satisfy hunger for long time! Back in the Soviet period, the Russian deep-fried potatoes were considered to be a peasant dish. 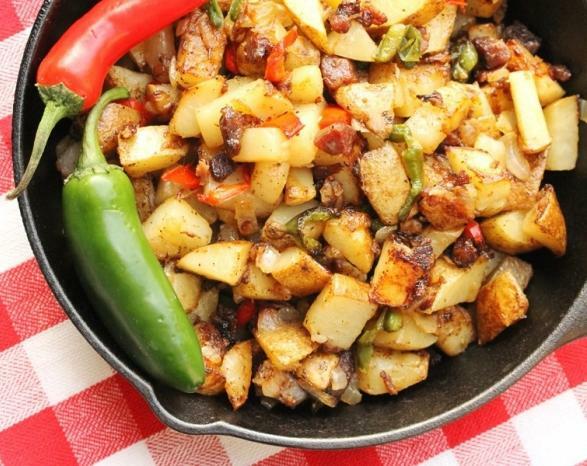 As an example, plain pan-fried potatoes were traditional lunch and dinner for the USSR students. Although, people who could afford meat (or the lucky ones who could find it in the soviet shops), used to add it to the dish to make it more substantial. Despite the fact, that most of the Russians don’t appreciate this meal associating it with the poverty, for the foreigners it will taste delightful. Juicy potatoes, sautéed aromatic vegetables and mushrooms together are the perfect match. But, never prepare it with the mushrooms sold in the British supermarkets (they taste like slugs, probably that’s why a big number of the Englishmen can’t stand mushrooms!). The selected mushrooms should be collected from the Eastern Europeans forests. Russian traditional food is very rich and nourishing. I’m likely to say that this cuisine is meant to be for the real men. But unfortunately, it can become dangerous for some women, precisely for the body shape. Don’t hesitate to try Russian food – it’s heathy, extremely tasty but also very high-calorie. Wish everyone bon appetite and effective training session for the future, because it has another striking feature – Russian food becomes your weakness within the first glance! Looks like the key ingredient is minced meat. These sound delicious, btw! Yes, that all looks like it should be well-received. I love Russian food. Still prefer Hungarian food, but Russian food is very good. Have you tried Hortobágyi palacsinta? They are pancakes filled with meat (usually veal). The meat is prepared as a stew; minced meat is fried with onions and spices like the pörkölt or the paprikás dish, using veal, veal with mushrooms, chicken, or Hungarian sausage. I use a lot of paprika and a lot of peppers. The pancakes are then filled with the minced meat, tucking in the ends, and are baked in the oven with a paprika and tejföl (sour cream) sauce, then topped with fresh parsley. I usually top them with some fresh cheese curd, which is not traditional, and add some grilled peppers to it. Oh my god, it sounds delicious!! !